Named after the longest highway in India, National Highway 44 is located in the heart of New Delhi at Rajouri Garden. 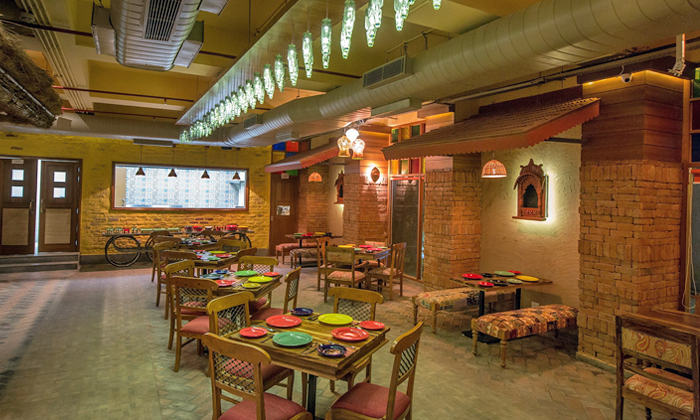 Their innovatively curated menu covers most of the delicacies from across the country - North Indian, Kashmiri, Mughlai, South Indian and Maharashtrian! The burnt brick walls, the wooden furniture and the stained glass windows give it a warm, cozy ambience. Head over to National Highway 44 with your loved ones to sample some mouthwatering dishes which will definitely leave you craving for more.